Technological justice can play an important role within the international system in resolving global challenges and creating a smart and more egalitarian society. Technological and scientific developments are generating huge opportunities for tackling societal challenges. However, the benefits of technology and innovation are unequally distributed, and they tend to cause economic and political disruptions in our societies that widen inequalities. The authors propose adopting the concept of ‘technological justice’ within our societies as a new paradigm for the international system to reconcile technological advances with the societal challenges facing our global society, especially poverty and sustainability. They propose a number of policies and measures by which the G-20 could take on a central role in pushing this major contribution onto the global agenda. In the current age of rapid scientific developments, it could be useful to introduce the concept of ‘technological justice’. Such a notion aims to reduce social disruptions and inequality within states as well as between developed and developing countries. For the latter, digitalisation and, especially, automation are challenges that must be faced if developing countries are to avoid premature de-industrialisation, expulsion from global value chains of the world economy, and the serious damage to their growth paths that would result. In this respect, to foster a technological convergence among countries, and to aspire to a smart world society, the G-20 should have a central role connecting the 2030 SDG goals which include innovation, technology, justice and equality. More specifically, the policies to apply in developing countries must pursue aims such as the open diffusion of knowledge, improving digital education, producing innovations for local consumption, the reduction of their energy deficits, and the technological empowerment of women. Implementing such policies in a context of international cooperation would make public-private partnerships a key instrument for funding infrastructures, joint ventures, incubators, start-ups and any other of entity with a significant capacity for technology transfer. There is a dialectic relationship between technology and society: technology is both part of the solution to societal challenges and part of the problem, and this deepens social inequalities. The concept of technological justice can reconcile these two faces, connecting technology, a critical factor in human development, with our aspirations for social justice and greater equality between economies. The Sustainable Development Goals (SDG) Agenda mentions innovation and technology (Goal 9), but does not link it to justice and equality (Goal 10). They should, however, be connected: in that endeavour, the G20 could have a central role. We propose to develop the concept of ‘technological justice’, along with relevant policies. Typically, such concept has been employed to refer to domestic inequalities and internal gaps within societies. We intend to inject the concept with the international dimension and use it to reconcile technological advances and aspirations with greater social justice and equality between societies. We could define it as ‘a situation in which technologies don’t create new social gaps and deficits, but on the contrary lead to a smart world society, especially as far as the solution of major challenges like poverty and sustainability is concerned’, even if such a status quo would be very difficult to attain. ‘The concept of technological justice requires a rethinking of how -both in the developing and the developed world- to encourage and nurture technological innovation that has social value and is environmentally sustainable’.1 The Hamburg G20 Final Communiqué aimed to ‘bridge digital divides along multiple dimensions, including income, age, geography and gender’, and to ‘ensure that all our citizens are digitally connected by 2025’, emphasizing in particular the related ‘infrastructure development in low-income countries in that regard’. Technological justice could be part of the G20 goals; it is closely related to the 2030 Agenda to which the G20 aspires to connect. Even if there is no specific goal for it, as we say, it could connect goals 9 and 10 of the SDGs. 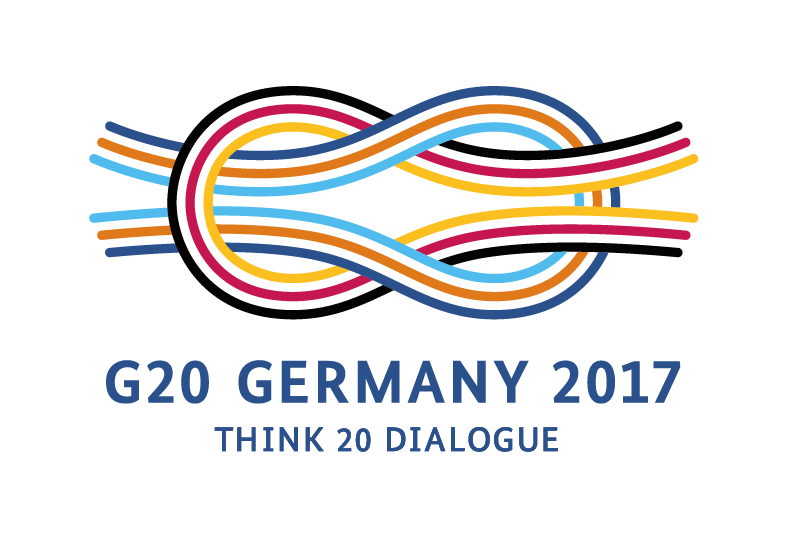 The G20 could promote policies that could contribute to the setting of this connection. These forecasts coincide with others -from Holmes & Osborne, 2013- in that the developing world will lose its comparative advantages as jobs are replaced by robots and 3D printing in next 20 years.6 This is still not fully the case because of the abundance of cheap labour and because automation is still expensive in many aspects beyond the automotive and electronics sectors. The International Labour Organization (ILO) foresees the need to generate 40 million jobs a year just to cope with population growth, and more than 300 million a year to achieve the UN Sustainable Development Goals by 2030. These goals might be threatened by the impact of digitalisation and automation. While the debate on whether services can become a new growth-enhancing sector continues, research indicates that premature deindustrialization is prevalent in developing countries and that ‘manufacturing no longer plays the role of the engine of growth in developing countries’. Other studies challenge these conclusions.10 For instance, in the case of Africa (and in comparison with previous industrial revolutions),11 it is argued that African economies are now well positioned to take advantage of the numerous opportunities to drive inclusive prosperity that the 4th industrial revolution presents. In the 1st Industrial revolution, Africa was dealing with slavery; the 2nd Industrial revolution coincided with colonization; and during the 3rd Industrial revolution, Africa was focused on decolonization and nation building. The Internet could add US$300 billion to Africa’s GDP by 2025 if it continues to grow at the same pace as has mobile telephony.12 There is a need to invest more in R&D: today, Africa spends only 0.1% of its GDP on R&D, with the more technologically advanced countries like Kenya spending only 1% (compared with 3%-4% in most developed economies). The size of cities also matters, as far as technology is concerned.13 Small cities in the developed world are at risk of job displacement from automation. This conclusion, based on the case of the US, could also apply to the developing world, particularly in Africa, where societies are experiencing simultaneous industrial and urban revolutions. The growth in the size of the cities favours ‘technologization’. According to the McKinsey Global Institute analysis of the ‘haves and have-mores’ in digital America, industries that adopt more technology quickly are more profitable. Sectors that create the most jobs -such as care, education and government- are slower than the tech and financial sectors in terms of incorporating digital technology into their business models. If that applies to the US, then even more so within the context of developing economies. Promote digital literacy and digital skills in all forms of education and life-long learning. Push for the role of SMEs in this area. Promote effective cooperation of all stakeholders and encourage the development and use of market- and industry-led international standards for digitalised production, products and services that are based on the principles of openness, transparency and consensus, so that standards do not act as barriers to trade, competition or innovation. What would the consequences be -in terms of public policies- of advancing technological justice? (1) Social policies: to raise efficiency and inclusiveness in the welfare system through technology; (2) fiscal policies: to give incentives to technologies that, while not profitable in competitive market conditions, can provide redistributive benefits (education, health, work, etc. ); (3) development aid policies that incorporate technology; and (4) R&D policies. Below is a list of potentially useful public policy directions to consider. A concept of a Global Society 5.0 should be developed for a super-smart global society. Solving social issues will ‘create future’. This concept should include the overcoming of the digital divide and especially of the gender digital divide. There is a need for a renewed focus on reform of national and international innovation systems and R&D policies, in an attempt to create a new consensus on how public-private partnerships can contribute to a more open and sustainable use of technology. More ‘open source’ access for technologies should be sought. It is essential to assure an open diffusion of knowledge, innovations and technologies in the design of development policies. Development policies should support redistributive systems and incentives for successful application of new technologies. Competition must be ensured to push for innovation. Research and development should aspire to cover the basic needs of humanity. More attention should be paid to possible major advances (like CRISPR) in biotechnology and genetic manipulation (which will both fight diseases and generate new inequalities). Legal frameworks should be promoted to enable innovation and the use of new technologies. Improve the education of the left-behind countries through global schemes (a global technological Erasmus?). Promote STEM studies and critical thinking in developing counties and expose their school children at an early age to digital education. This could be a way to link technological justice to SGG 4 on Education. Invest in education to ‘upskill’ and ‘reskill’ the workforces to benefit from the rise of robots, rather than being a victim of this trend. However, education cannot be the solution to everything; job creation policies must also be pursued. Produce technology for local consumption in developing countries (especially in Africa). Close the energy deficit through exploitation of on-grid, off-grid and mini-grid technologies. Proposals like taxes on robots or universal basic income are not workable at a global level. Taxing rents seems more appropriate. Study new ways of securing tax incomes. The aim should be ‘to protect people, not jobs’ (Emmanuel Macron). That is to protect their livelihoods, even if the concept of work and employment changes. All those policies with a holistic approach would constitute an agenda for technological justice. As we have argued, technological justice should be linked to the SDG Agenda. As a result, the timeframe for proposals should coincide with the 2030 horizon. Strategic funding instruments for the diffusion of technology improvements are essential. Funding instruments should be based on public-private partnerships with different purposes and clustered by their priorities in strategic sectors for achieving justice goals, especially for those areas with an impact on welfare (Health and Education) or with a significant weight in production patterns (Industry, Agriculture, Transport and Energy). Investments in technology and research infrastructure with effects on capacity building should be supported by international cooperation to foster developments in specific fields (material science, ICT, nanotechnology) or in a specific area of generic research (bio-technology, computational genomics). Another alternative is to develop national infrastructures open to an international research area. Joint ventures between public agencies, technology centers and industries should contribute to address societal priorities promoting specific technologies. The public sector could act as the risk taker or entrepreneurial innovator as it has been with respect to the recent developments in ICT (Internet, GPS, mobile, etc). A scheme like the EU’s D4D program should also be tried at a more global level. Finally, funding should target support for entities involved in technology transfer (incubators, start-ups, university technology centres, etc), reducing the constraints on access to the elicitation of knowledge and technology diffusion. Again, clusterisation and smart specialization are necessary for an efficient distribution of talent and resources. Van Agtmael, A. & F. Bakker (2016), The Smartest Places on Earth: Why Rustbelts Are the Emerging Hotspots of Global Innovation, PublicAffairs, New York. White Lyal (2018), Presentation at the Meeting of Danish Ambassadors in Africa, 14 March 2018, Johannesburg 1 Simon Trace (2102), ‘How Technological Justice Can Fight Global Poverty’. 2 UNCTAD (2016), ‘Robots and industrialization in developing countries’, Policy Brief. 3 UNCTAD (2017), ‘World Investment Report 2017. Investment and the Digital Economy’. 4 IADB (2018), ‘Robot-lución: el futuro del trabajo en la integración 4.0 de América Latina’. 5 Dani Rodrik (2015), ‘Premature deindustrialization’, NBER Working Paper nr 20935, February. 6 Carl Benedikt Frey, Craig Holmes, Michael Osborne et.al. (2016), ‘Technology at work v2.0’, Citi/Oxford Martin School. 7 McKinsey Global Institute (2013), Lions go digital report. 8 United Nations Industrial Development Organization (UNIDO) (2016), ‘The importance of manufacturing in economic development: has this changed?’, Inclusive and Sustainable Industrial Development Working Paper Series, WP 1/2016. 9 State Council, China (2015), ‘Made in China 2025’. 10 Richard Dobbs, James Manyika & Jonathan Woetzel (2015), The Four Global Forces Breaking all the Trends, McKinsey Global Institute. 11 Grace Obado (2017), ‘Structural transformation and digitalization of African economies’, presented to ‘Africa in the perspective of G20’, Conference, Madrid, 27th April 2017. 12 Manyika, James, Sree Ramaswamy, Somesh Khanna, Hugo Sarrazin, Gary Pinkus, Guru Sethupathy & Andrew Yaffe (2015), ‘Digital America: a tale of the haves and have-mores’, McKinsey Global Institute. 13 Morgan R. Frank, Lijun Sun, Manuel Cebrian, HyeJin Youn & Iyad Rahwan (2017), ‘Small cities at risk of job displacement from automation’, 18/V/2017. 14 Theodore W. Theodore (2014), ‘Foreign Investment and Supply Chains in Emerging Markets: Recurring Problems and Demonstrated Solutions’, Peterson Institute Working Paper Series nr 14-12. 15 G20 (2017), ‘G20 Leaders’ Declaration’, Hamburg. 16 Keidanren (Japan Business Federation) (2016), ‘Toward realization of the new economy and society Keidanren – Outline. Reform of the economy and society by the deepening of Society 5.0’, 19/IV/2016. 17 Africa 2.0 (2012), ‘Africa 2.0 Manifesto’. 18 Alina Sorgner (2017), ‘Empowering women in the digital age’. Baldwyn, Richard (2016), The Great Convergence. Information Technology and the New Globalization, The Belknap Press of Harvard University Press, Cambridge, Massachussets. Frey, Carl Benedikt & Michael A. Osbore (2013), 'The future of employment: how susceptible are jobs to computerisation', Martin Oxford School. Herweijer, Celine, Benjamin Combes, Leo Johnson, Rob McCargow, Sahil Bhardwaj & Bridget Jackson (2017), "Enabling a sustainable Fourth Industrial Revolution: how G20 countries can create the conditions for emerging technologies to benefit people and the planet', T20 Policy Brief, https://www.g20-insights.org/policy_briefs/enabling-sustainable-fourth-industrial-revolution-g20-countries-can-create-conditions-emerging-technologies-benefit-people-planet/. ILO (2017), World Employment and Social Outlook: Trends 2017, http://www.ilo.org/global/research/global-reports/weso/2017/WCMS_541211/lang--en/index.htm. MOFA (2017), 'Japan's Growth Strategy', http://www.mofa.go.jp/mofaj/files/000272312.pdf. Obado, Grace (2017), Conference, Madrid, 27/IV//2017, http://www.realinstitutoelcano.org/wps/wcm/connect/99f9d6f7-7fc0-4cae-99d6-09fdb36d5b60/G20Africa-presentacion-Obado.pdf?MOD=AJPERES&id=1493378898077. Ortega, Andrés (2016), La imparable marcha de los robots, Alianza Editorial, Madrid. Practical Justice (2016), Introducing Technology Justice: A New Paradigm for the SDGs',https://policy.practicalaction.org/resources/publications/item/introducing-technology-justice-a-new-paradigm-for-the-sdgs. Sandu, Martin (2017), 'Technological Justice', Financial Times, https://www.ft.com/content/0eee2b4e-f529-11e6-95ee-f14e55513608. Stacey, Kiran, & Anna Nicolaou (2017), 'Stitched up by robots: the threat to emerging economies', Financial Times, 18/VII/2017, https://www.ft.com/content/9f146ab6-621c-11e7-91a7-502f7ee26895.